The ultimate in snare, tenor, and bass drum protection. Tama Drum Covers are well-padded, custom-fitted covers completely protect chrome hardware and high-end lacquer finishes from scratches, dirt, and the elements. 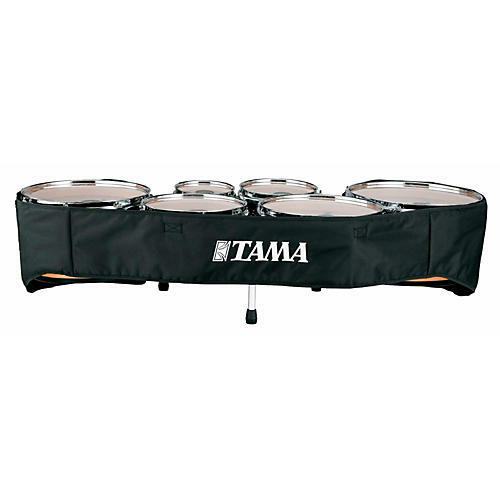 Featuring pockets for drum keys, storage slots for tenor legs when not in use, and ring attachments for stick bags, Tama Drum Covers are a multi-functional solution for protection and convenience. All covers are double-stitched, weatherproof, and washable to insure beautiful and long-lasting protection for your drums.